The UAE capital Abu Dhabi is dotted with record-breaking feats. The city has much to boast about from stretches of gilded deserts to gorgeous beaches. It is also known for its magnificent architecture with the tower that has the greatest lean, the world’s highest penthouse bridge, the largest marble mosaic and more. Explore the dazzling city and learn about the deep-rooted culture and traditions. Adventure-lovers and visitors who wish to unwind will find an immediate connect. Enjoy the best outdoor activities and desert adventures and like Arabian BBQ dinner, desert adventure-sports, sheesha cafes in Abu Dhabi and create some unforgettable memories. 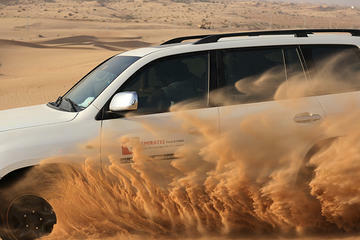 Explore the panoramic desert expanses bursting with adventures on a 5-hour Luxury Abu Dhabi Desert Safari Evening tour. Enjoy the serene and vibrant evening as you head through the sand dunes slopes. Take a 1-hour 4x4 dune bashing ride and capture some stunning sunset photos. 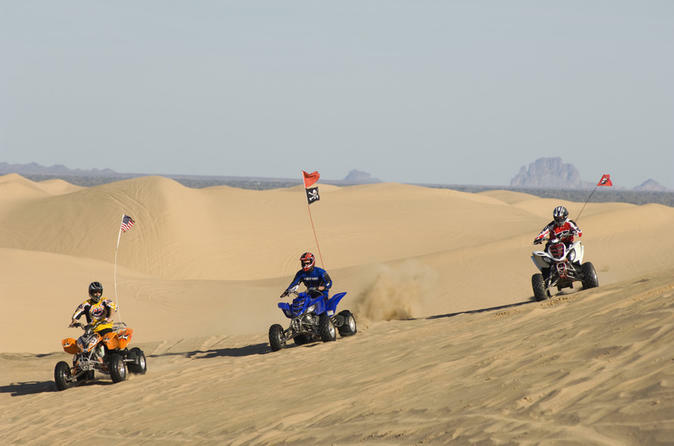 Have-a-go on electrifying activities like sand boarding, quad-biking, visiting a camel farm and more. Relax at a starlit desert camp and enjoy a belly dancing show and a delicious BBQ dinner. This tour is an ideal tour for families and couples. Unwind in the stunning desert landscapes on a 6-hour Evening Desert Safari with BBQ Dinner. 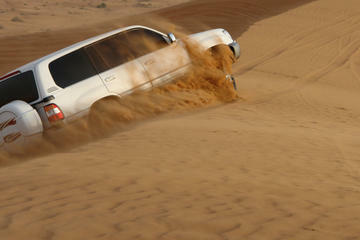 Head out for the Al Khatim Desert with the Safari Marshall in a 4x4 Land cruiser. Enjoy a scintillating 4x4 dune bashing ride, visit a camel farm and capture photos and get settled in an Arabic-themed-camp to enjoy the buffet BBQ dinner (vegetarian meal option available) and a belly-dancing show. Also, try the camel rides, quad biking (own expense), henna-tattooing and dress in an Arabic-costume for a souvenir photo. 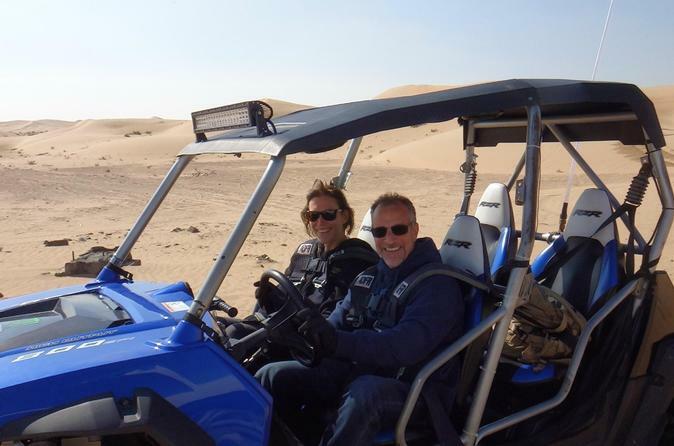 Experience the Best Adventures Safari in Abu Dhabi with Quad Bike Tours & Thrilling 4×4 Dune Bashing enjoy the desert as never before with our professional desert guides and Experience adrenaline rush. Enjoy a thrilling 4-hour morning adventure in the magnificent desert terrain with the Abu Dhabi Desert Morning Safari tour. Journey into the Al Khatim desert with your safari guide in a 4x4 vehicle and revel the adventure on a dune bash with an expert driver. Unwind at the Bedouin-style camp, set with tents, cushions and carpets. 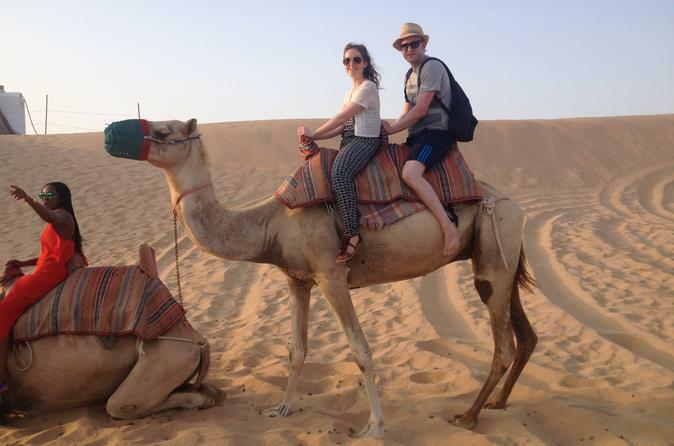 After having some complimentary refreshments try out activities like the camel rides and sand-boarding. At the end of the tour head back to your hotel with the free drop-off and many treasured memories. A dune buggy tour is an ideal activity for adventure seekers in Abu Dhabi. Explore the steep sand dunes of the Al Khatim desert while off-roading under the supervision of an expertly trained guide. The challenging 6-hour tour includes round-trip transport from your hotel. 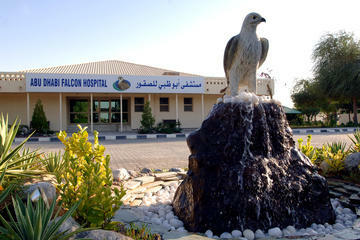 Take time out to tour the world’s most unique hospital for falcons at the Abu Dhabi Falcon Hospital (ADFH). Visit the largest falcon hospital in the UAE and the world, and learn about the veterinary health care services provided for the falcons. The guided tour will help you understand the process of taking care of these birds, and you will also get some photo opportunities. This tour is complete with all entrance fees, and free hotel pickup and drop-off is included.